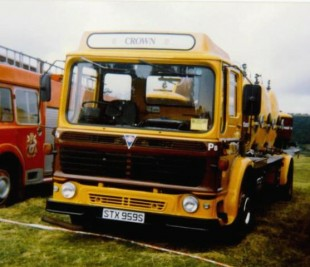 An AEC beautifully preserved in the livery of Crown Buckley. 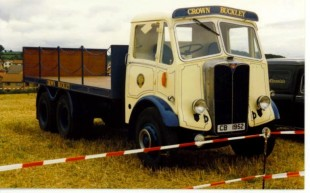 An AEC Crown Buckley tanker delivery wagon. 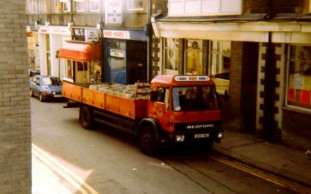 One of the last Bedford TL�s delivering kegs of Brains Best Bitter. 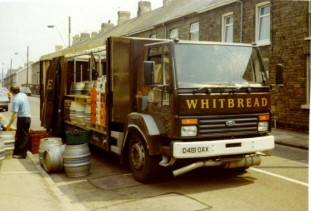 A Ford delivering Whitbread keg beer. 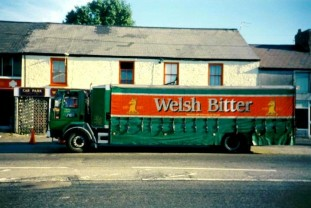 Another load of Welsh Bitter. 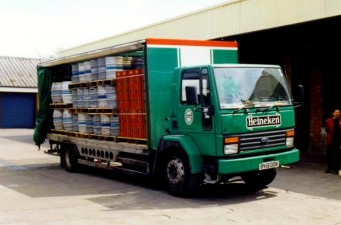 A Ford in the Heineken fleet at the distribution depot. 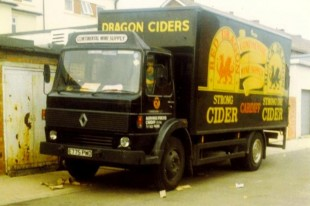 A Renault promoting Dragon Ciders of Cardiff. 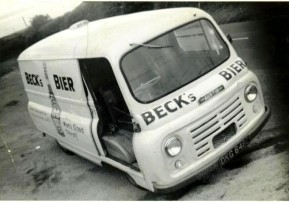 This is possibly one of the only photographs of one of these Austin Omnivans advertising the German Beck�s Bier no doubt made popular in Wales as a result of the cult TV show Auf Wiedersehen, Pet . It was caught on camera by Malcolm Kirk somewhere in the Valley�s making a delivery from Cardiff en route to Cynheidre Colliery, near Swansea in 1966.